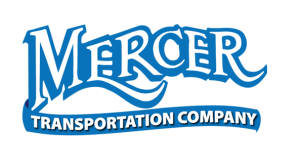 Apply for Truck Driving Jobs in NH | Local CDL Jobs in NH - HIRING NOW! Despite popular belief, some of the best jobs are ones that require only a few weeks of training before you enter the workforce and start making good money. Truck driving jobs in New Hampshire are one of those jobs. They do not require years of training or even a college degree. Plus, the best part about working for New Hampshire trucking companies is that you can make a great living while viewing all the beautiful scenery that this state has to offer. Keep reading to find out what you can expect from truck driving jobs in NH. 2,500 paid miles per week guaranteed! One day off for every week out GUARANTEED! 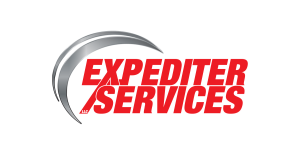 Up to $100,000 plus bonuses for experienced company drivers! 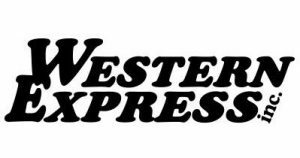 Up to $10,000 sign-on bonus for owner operators! Solo drivers earn a net minimum of $81,000 yearly! Solo drivers get paid $2,800 within their first 8 days! Team drivers earn a net minimum of $151,000 yearly! Team drivers get paid $5,600 within their first 8 days! Top 25% of drivers average $80,300 yearly! Top 25% of drivers average $82,000 per year! 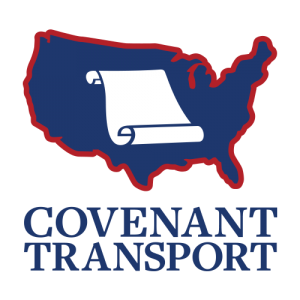 $40,000 TEAMING BONUS for OTR CDL-A DRIVERS! You cannot get hired by New Hampshire trucking companies unless you have the proper driver’s license. To get your Commercial Drivers License (CDL), you must first obtain your New Hampshire Commercial Learners Permit (CLP). Getting your CLP involves providing the proper paperwork and documentation, paying any required fees, and passing the CDL general knowledge written exam. After obtaining your CLP, you will qualify to take the CDL road test. You must take this test in your own vehicle that is registered and insured. Additionally, the vehicle must be the same type and class for the type of CDL you are applying for. You must successfully pass this hands-on test and pay additional required fees to be awarded your CDL. What do the trucking companies in New Hampshire require of their drivers? 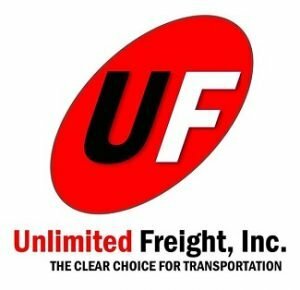 In order to protect the reputation of their company and to keep everyone on the road safe, New Hampshire trucking companies have set hiring standards for all of their applicants. If you do not meet these minimum qualifications, you will not be hired for CDL jobs in NH. Although your own interests and passions can be a driving force behind your career, so can the salary and benefits you receive with truck driving jobs in NH. Let’s face it, without a decent salary and attractive benefits, many of you would choose not to work for the trucking companies in New Hampshire. Trucking companies in New Hampshire generally pay their professional truck drivers about as much as the national average for this career field. CDL jobs in New Hampshire usually pay between $31,770 and $58,340 annually, with the median income of a truck or tractor-trailer driver being $41,750 as of 2016. Nationally, truck drivers earn between $26,900 and $63,100 each year with a median income of $41,340. 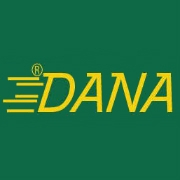 Truck driving jobs in NH, as well as those all throughout the country, generally pay by the mile. If you work for any of the many New Hampshire trucking companies, you can expect to earn up to 4 cents per mile split on a team or about $1,100 per week. The average cost of living represents what a typical person or family in a certain area can expect to pay for their living expenses. This figure should be used in conjunction with your salary and benefits package to help you determine how much you will make after all of your living expenses are paid when deciding if you will work for any of the trucking companies in New Hampshire. Out of all 50 states and our nation’s capital, New Hampshire has the 19th lowest state and local tax rate at 10.09%. While this state may have lower tax rates than the majority of others, the cost of living is higher. The average cost of living for a single person without children in New Hampshire is $23,590 before taxes. For a family consisting of two adults and two children, the average cost of living is $64,955 before taxes. You should also consider fuel prices when determining how much you will make and how much you will spend working at CDL jobs in NH. For instance, if you are an owner-operator and not just employed by one of the many trucking companies in New Hampshire, you will be responsible for paying for your own diesel fuel. As of mid-May 2017, the national average price for a gallon of diesel fuel is $2.358, while in New Hampshire the price is somewhat less at $2.299. If you work for New Hampshire trucking companies, you will quickly learn that road and weather conditions can be a truck driver’s worst enemy. Truck driving jobs in NH can sometimes cause higher stress than other jobs for this reason alone. Since some areas of New Hampshire can see between 100 and 200 inches of snow each year, drivers here need to have adequate experience driving in winter weather conditions. You will need to be experienced driving on roads with poor visibility, snow, and ice. If you are a flatbed driver, you should be prepared to stop and cover your cargo with a tarp. As a truck driver in New Hampshire, you should be ready to apply chains to your tires for added traction. One benefit of working for New Hampshire trucking companies is not having to deal with extremely high temperatures, even in the summer, and also not encountering congested roadways on a frequent basis. However, you may be required to operate your vehicle over mountainous terrain, including steep inclines and long downgrades which can cause heavier than normal wear and tear on your vehicle. Trucking jobs in New Hampshire have a predicted rate of growth that is slightly below the national average when compared with trucking jobs in other states. Across the United States, jobs for people driving heavy and tractor-trailers are expected to grow by 40,450 openings by 2024, which represents 6% of what it was in 2014. For truck driving jobs in NH, the rate of growth is predicted to be only 5% between 2014 and 2024, which equates to an additional 160 job openings per year.